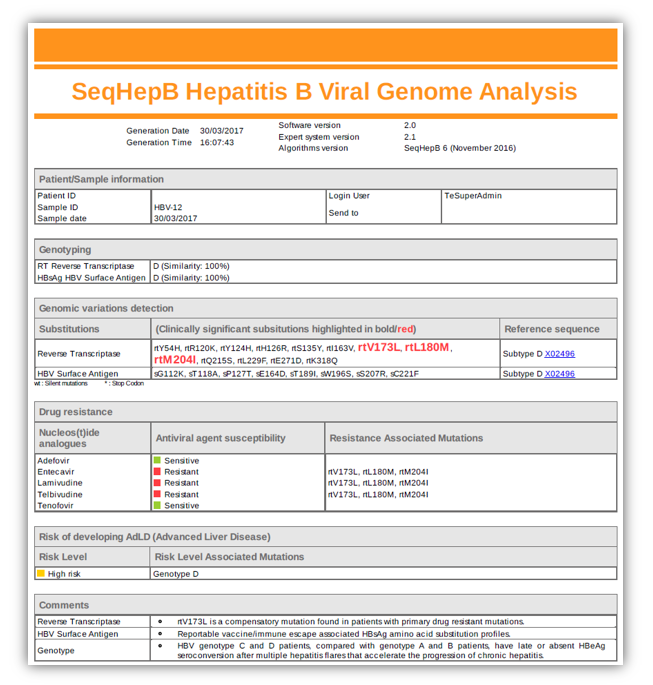 DeepChek®-HBV (S-12-023 (BUS)) is a flexible and customizable downstream analysis software able to handle sequencing data and intended to be used for performing Viral Hepatitis B (HBV) genomic data analyses and clinical interpretations. 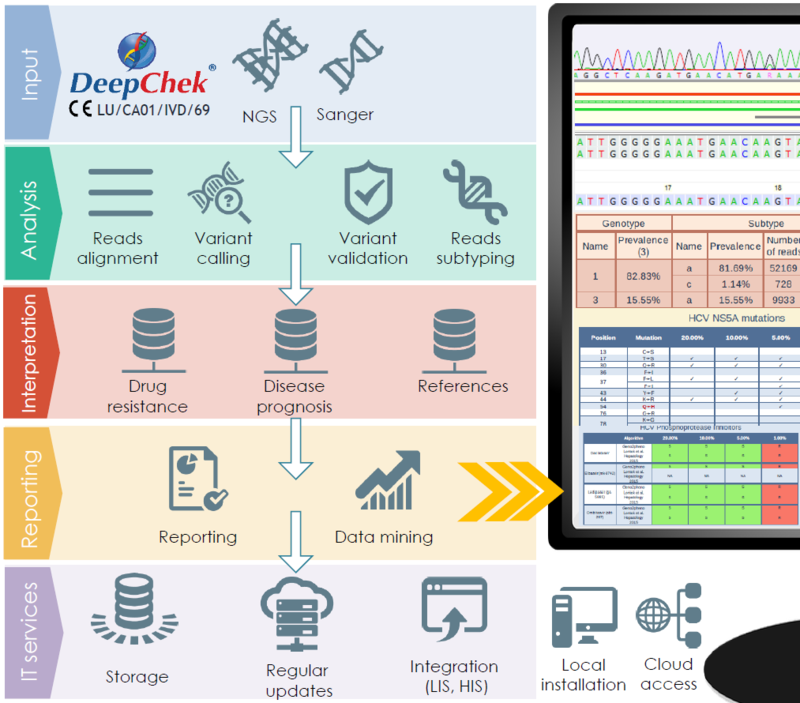 Compatible with Electrophoresis Capillary and Next Generation Sequencing (NGS) platforms (like MiSeq, MiniSeq, iSeq-100, 454-Junior, 454-FLX…), DeepChek®-HBV stores, organizes sequencing data in a dedicated database format and performs bio-informatics analyses and clinical interpretations of Polymerase, HBsAg, Core, Pre-core, Pre-S1, Pre-S2, or X gene sequencing data. It is able to generate reports to be used either for research or for routine use. Supported formats: AB1, FASTA and PLAIN-TEXT for Sanger, FASTA/FASTQ (including paired sequencing), BAM/SAM for NGS covering Targeted Genes or also compatible with Whole Genome data. The DeepChek®-HBV software system is a secured web application which can be used through a Cloud access or locally, through pre-configured servers. 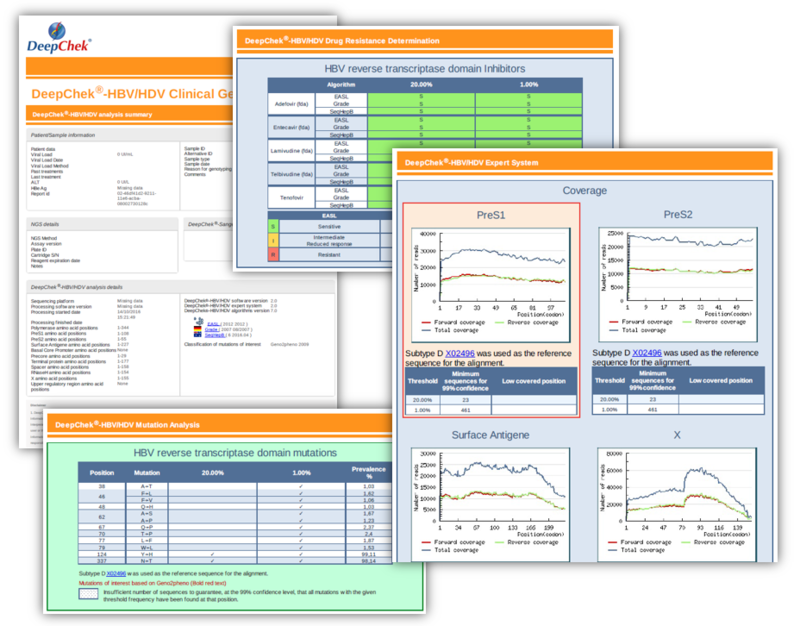 It is made available with regular updates (new clinical databases, guidelines…) and quarterly upgrades (new features, modules, applications…) and can be fully integrated within the IT network of each laboratory (integration with the sequencing platform, with the Laboratory Information System – LIS, with the Hospital Information System – HIS…). The DeepChek®-HBV software application is CE-IVD (LU/CA01/IVD/69).